Our programs and activities are designed to help you live the life you’ve always wanted but never had time for — like a permanent vacation. 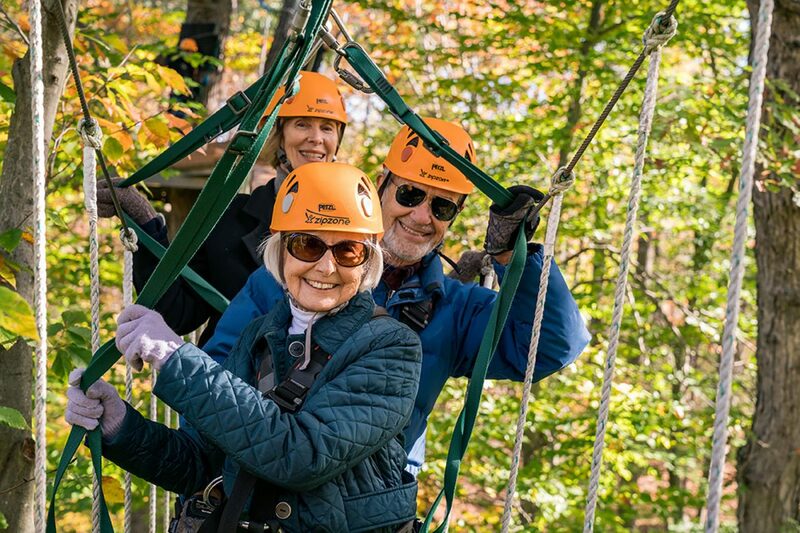 Whether you’re letting your creative spirit flow in our art club, training your inner athlete in a fitness class or ziplining with our adventure club, you’ll feel the Friendship Village of Dublin difference both inside and out. Our campus has walking paths throughout the grounds so residents and bikers can enjoy the great outdoors. We’ve even published a trail guide with distances for both indoor and outdoor routes to help you track your progress. Channel your creativity through a variety of art classes including watercolor, jewelry making, needlework and sculpture. You can even display your final product in our on-site art gallery dedicated to community members and local artists. Looking to challenge your memory, senses and creativity? Twice a month, this class provide a unique experience, grounded in brain science, that’s designed to sharpen your cognitive skills. Our fitness center includes state-of-the-art cardio and strength equipment, a beechwood floor aerobic room and a beautiful Olympic-sized swimming pool. Classes and events are held in both the fitness and aquatic center to help you stay fit, active and healthy. Enjoy the fun and competitiveness of bowling with this low-impact alternative to regular bowling, which can be played from a seated or standing position. We even offer Wii bowling leagues multiple times a year! On-site volunteer opportunities include resident committees and various advisory groups with additional opportunities to offer both your time and talents to the greater Columbus community. This club provides a quarterly opportunity to challenge yourself with an experience that pushes your personal boundaries. 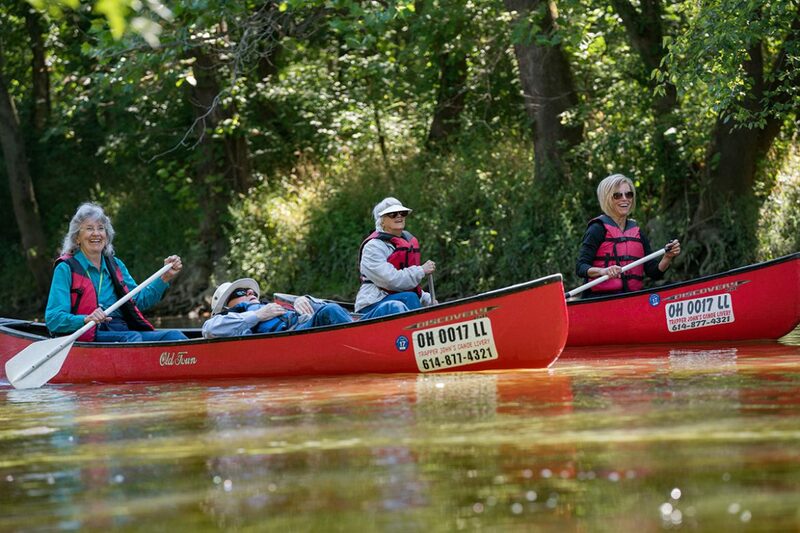 Past adventures have included ziplining, indoor rock climbing and canoeing. Future Adventure Club activities may include team activities, horseback riding, downtown pedal wagon, brewery tours and cooking classes. We’re dedicated to providing ongoing education opportunities through video conferences, documentaries, discussions and guest speakers. Through our partnership with the Senior Connections Program at Cleveland University Circle, we explore a monthly theme and ensure learning has no age limits. Our fitness class schedules are flexible to provide a comprehensive and variable wellness program. A 45-minute water workout that focuses on aerobic activity, resistance training and creating an enjoyable atmosphere with music. A 30-minute class combining patterns of movement, strengthening, flexibility and balance. A 60-minute class that includes a combination of cardiovascular movement with alternating days of strength training and yoga. A gentle form of yoga, this 40-minute class is practiced sitting in a chair. It is powerful in relieving stress and aids in strength, stretching, deep breathing and toning. A 30-minute seated aerobic exercise class that incorporates 10-15 minutes of strength training and promotes functional fitness through safe, effective exercise. A 30-minute class that targets cardiovascular endurance, muscular strength, flexibility and balance. A 45-minute class using an Eastern form of exercise that uses slow and controlled movements to promote muscular strength, balance and circulation. A 30-minute transitional cardio and strength class incorporating both seated and standing exercises.